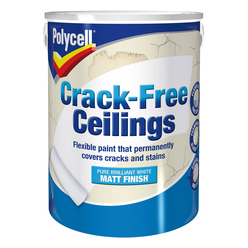 Ensure crack is dry and free from loose material. 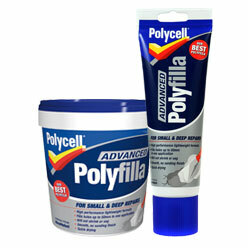 Pull tab and pour 2 to 2.5 parts Polyfilla to 1 part water. 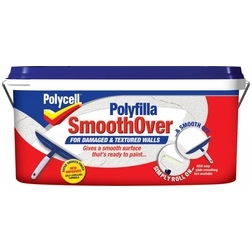 Mix to a smooth paste – ready to use in about one minute. 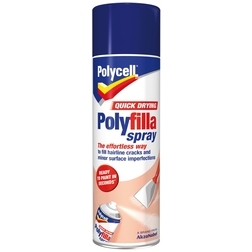 Press Polyfilla into repair with a filling knife – remains workable for up to 40 minutes. Finish with a wet knife and leave to set – normally 60 minutes. 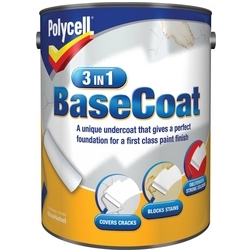 If necessary, sand down when fully dry. 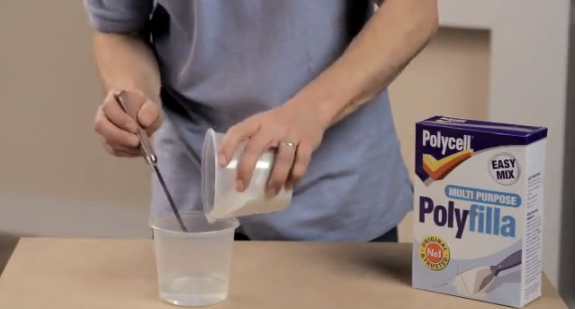 Clean bowl and tools in warm water.